If you're one of the lucky few that has naturally thicker hair or you just want glamorous volume and incredible length, then the DELUXE double wefted clip in range is perfect for you. The luxurious full head set of 26" Pure Black clip in extensions are hand made from the finest 100% Remy Human Hair, meaning that you can create stunning long styles in a matter of minutes. 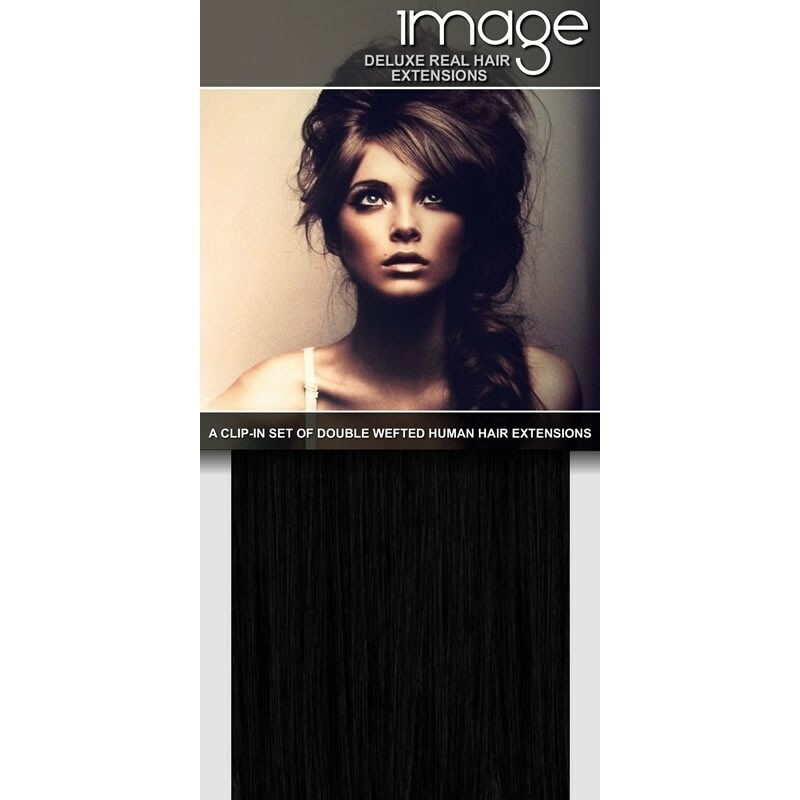 Image hair extensions are silky soft to the touch and are made with the finest human hair, each set weighs a massive 170 grams. Each section of these super-stylish Pure Black remy hair extensions have pre-attached silicone clips that will not slip or pull and are invisible once clipped in. Your friends and family won't believe it when they see how long, thick and luscious your hair suddenly is! For a limited time only we are offering FREE standard delivery on our clip in hair extensions, why not treat yourself? We're sure you'll love your IMAGE extensions, but for total peace of mind, we will be glad to refund or exchange any item. Click here for our returns policy. Check the box below to add this item to your order.